Gizmo Geek: How green is my off-road bike? Off-road biking as a sport and a hobby is gathering popularity. Exploring the wild on two wheels, taking the territory as it comes, away from the bustle of the city, possibly living rough—it’s only for those who are committed to their sport. Though off-roading on motorcycles and on bicycles each has their own charms, the former is often disruptive of a natural experience given the noise and emissions it entails. Electric is always an option, and for the discerning rider for whom price is of no concern, the search ends with Cake. No, we’re not morphing into a dessert column. 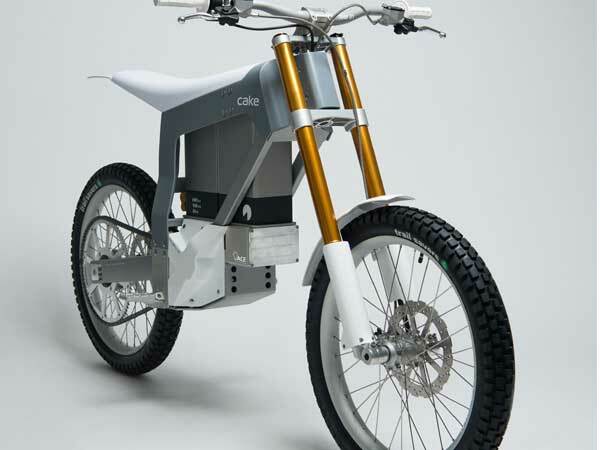 Cake is a Swedish bike maker known for their green e-bike, the Kalk. Both noiseless and emission-less, it lets the rider experience the outdoors the way it should be—without disrupting and polluting. Though Kalk is an electric motorbike for all intents and purposes, it borrows quite a bit from the best of the best in mountain bicycles, especially those for advanced techniques like enduro or downhill off-roading. Technically, it is in a category of its own: a light electric off-road motorbike. These bikes, say the manufacturers, Cake, have unique combinations of torque, speed, lightness and snappiness. At around 70 kg (the battery accounting for some 16 of those), the Kalk is about half the weight of a regular motorbike. Its super-light carbon-fibre body is supplemented with an aluminium frame and stainless steel axles. According to Cake, given the quality and durability envisaged, each component of the bike had to be developed from scratch as none of them were available off-the-shelf. The current edition of the Kalk is improvement on its predecessor, the Kalk Limited Edition, which has already sold out. In its new avatar, it comprises a custom-built suspension from Öhlins, masters of suspension technology, and a customised interior permanent magnet (IPM) 15 kW motor. The bike can go up to 8 km or up to three hours of free riding on a single charge. There are three different riding modes: Explore (speed limited to 45 km/h, suitable for exploration, and gives two hours or more on a single charge); Excite (active or enduro riding, with up to two hours of riding time); and Excel (“track and race mode”, where you get maximum power, up to 75 km/h, and about an hour’s riding time). There are also three brake settings: Freewheeling, 2-stroke and 4-stroke. The 2.6 kW lithium ion battery in the Kalk charges up to 80 per cent capacity in just 1.5 hours, and fully in 2.5 hours, in a standard power outlet. The electric motor means there is no clutch, no gears. This is one bike you won’t hear coming; nor will it leave behind a trail of evil-smelling fumes. The only drawback: it isn’t the prettiest off-road bike you’ve ever seen, but I think we can forgive that given its other credentials. Cake Kalk will be available from January 2019 onwards, shipping free anywhere in the world. At around $14,000 (almost Rs 10 lakh), that’s the least you can expect.